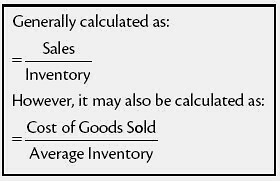 First of all, we need to understand what is Inventory Turnover. Inventory represents stocks or raw materials which need to be keep in order to meet customers orders /sales. It is a ratio showings how many times the stocks has been sold and then replaced over a certain time of period. The lower ratio may indicate that their inventory management is ineffective and they are not performing their task very well as they carried to much stock in hand. Whereby a higher ratio shows that their stocks are manageable and effective. Company XYZ has a sales of 50 millions for last year and also an inventory stock of 200 million for that respective year. So their inventory turnover is 0.25 which is considered very low. Based on this ratio, the company XYZ would need at 4 years to deplete all their existing inventory. 1. Increasing inventory turn will help reducing greatly the organization holding cost. Less money would be spent on utilities, rental, manpower, insurance, pilfering and any other costs which are used to maintain the stocks that are to be sold. 2. Reducing the holding cost will increase the profit and income provided the sales revenue remains constant throughout the period. 3. Inventory that turns quickly will increase the replacement of an obsolete item or even reduce the expired of the item which have shelf life. In some industries, it helps in increasing responsiveness to the changes in customers requirement. To be success in maintaining the Inventory Turnover, you would need knowledge, experience and the right platform. Therefore, we would recommend Chronos eStockCard Inventory Software to help increasing your Inventory Turnover.